Insurance is a contract between the insurer and the insured under which the insurer shall undertake to compensate the insured or the beneficiary for a loss relating to a particular subject. Functions of insurance include providing protection and certainty, bearing risk collectively and so on. When there is an agreement between an insurance company and an individual or entity, a contract is represented by a policy. This is where the clauses are all stated about protection and reimbursement against losses that will be given by the insurance company. Insurance policies have different types as well. There are a lot of policies that can meet what an individual or entity is looking for that will best suit their needs. Insurance has been a part of the life of the people in various parts of the world. In the United Arab Emirates (UAE), a medical insurance needs to be provided by a company to their employees as it is one of the laws of the country. 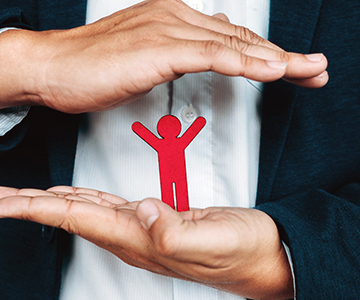 Different businesses in different industries require various kinds of insurance policies that will meet their needs or what they require as a business. Each industry has risks that needs to be covered or be prepared for and this is why insurance policies that will meet these are important to be reviewed first before being agreed on. Insurance policies can be applied to general cases but there are certain ones that need to be specifically catered to those cases as mentioned above. That is why there are different components of an insurance policy as well. There are things that should be understood by a person about an insurance before getting himself involved in one. It is advisable that you should do a quick research on the internet, or better yet, seek help from an insurance attorney. There are three components of an insurance policy. These three essential things make up a policy and it should be understood to know that you are choosing the right policy for yourself or for your whole business. This is basically talking about the price of the policy. It is usually a monthly cost that shall be paid by an individual or an entity. This price basically has its basis on the possible risks that will be encountered by you or your business. A history of a person or a business with regard to the certain thing that factors and relates to what he or it is being insured of can affect the price as well. Someone with a driving record that is not stained with penalties will pay less than someone who pays fines every other week or month. Insurance companies do not have the same prices for the same policies, that is why one should find the right insurance company. This is basically the amount that an insurance company will cover for a person or business. This limit can be annual, per injury, per loss, etc. When there is a higher limit that is set, there will be a higher price or premium that will be paid. This is a certain amount that an individual or business pays before a claim is paid by an insurance company. Its purpose is to be a deterrent to a huge number of small claims. Depending on the type of policy or the insurance company itself, deductibles can apply in a varied manner. It should be noted that when you have high deductibles in your policy, you will usually pay less. HHS Lawyers & Legal Consultants provides a team of insurance lawyers in Dubai, insurance lawyers in Sharjah and other parts of the UAE to further assist in the country. We advise to the insurance companies in the event of a claim being notified under an insurance policy and assist in the defense of claims brought against insurer professionals. We have long experience in dealing with insurance claim through litigation and alternative dispute resolution methods. We have a team of lawyers for insurance claims that will not only assist but defend your case. Regardless if you need a home insurance claim attorney or any insurance claim lawyer for some other cases, we can provide the right ones for you.